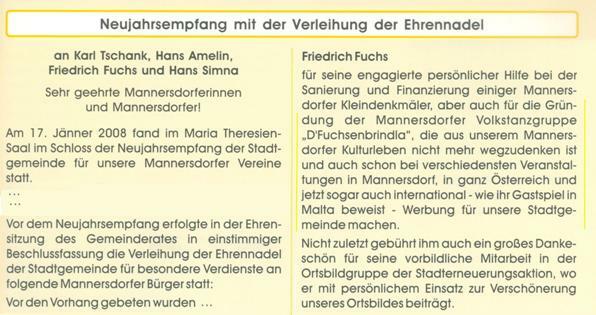 Article in "Mannersdorfer of views" - edition April 2009. Bmstr. 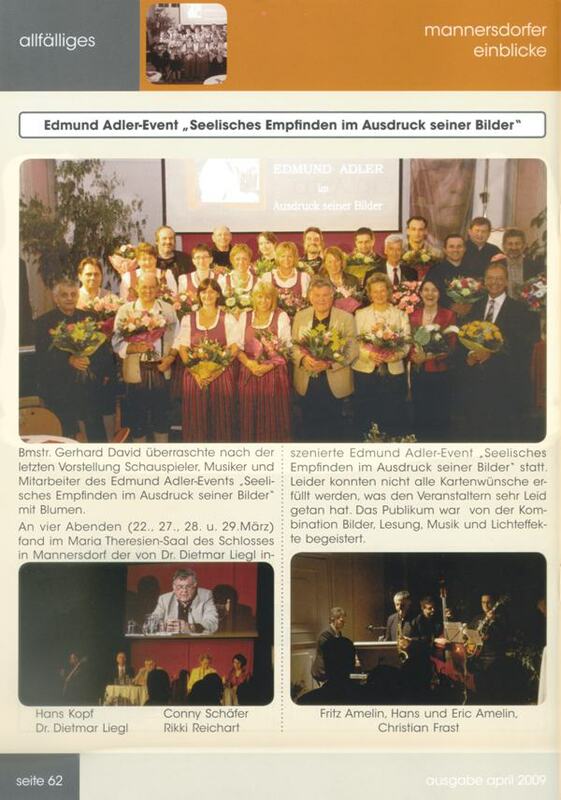 Gerhard David surprised after the last conception actor, musician and coworker of the Edmund Adler Event "Mental feeling in the expression of his pictures" with flowers. 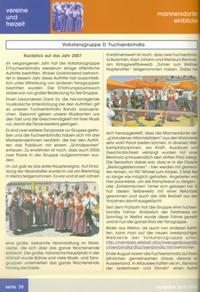 Article in "Mannersdorfer of views" - edition July 2008. On 19. May 2008 our annual spring celebration took place generally speaking hall of the hunter yard cutter. 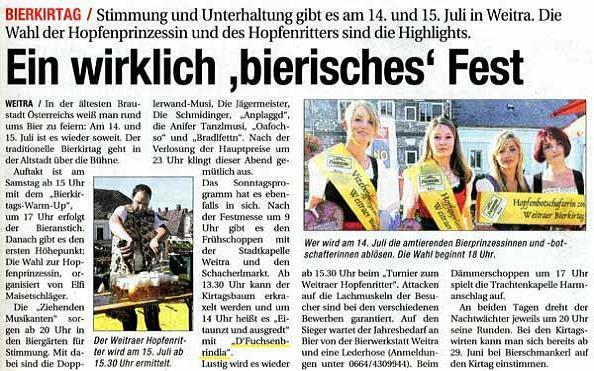 The high point of the meeting was the occurrence of our Mannersdorfer group of people dances " D'Fuchsenbrindla", apart from classical people dances with the insert of their "group of children" are unsurpassable. 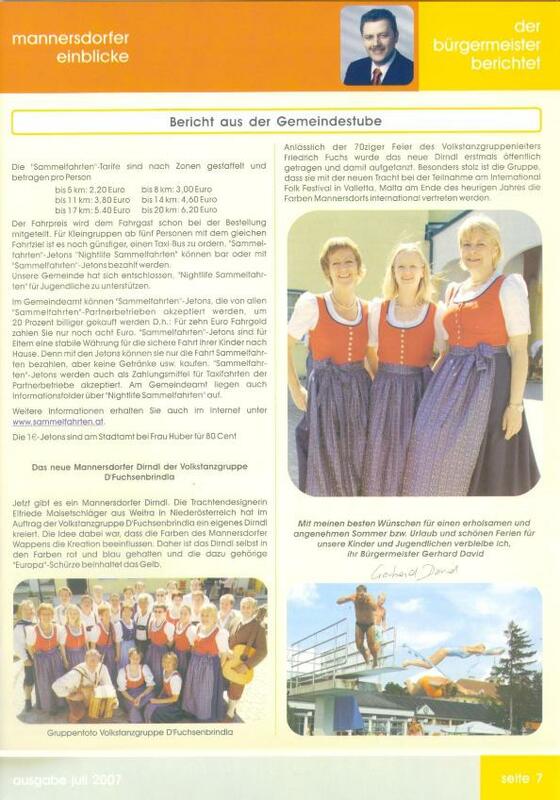 We can be proud to have in Mannersdorf so a people dance association which stands under the line of the Obfrau Christl Mayer and the legendary Friedl fox. Article in "Mannersdorfer of views" - edition April 2008. 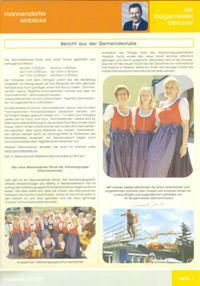 Article in "Mannersdorfer of views" - edition July 2007. Week 26/2007 - Article in the buzzers expenditure for steam turbine and gas turbine system of the NOEN. 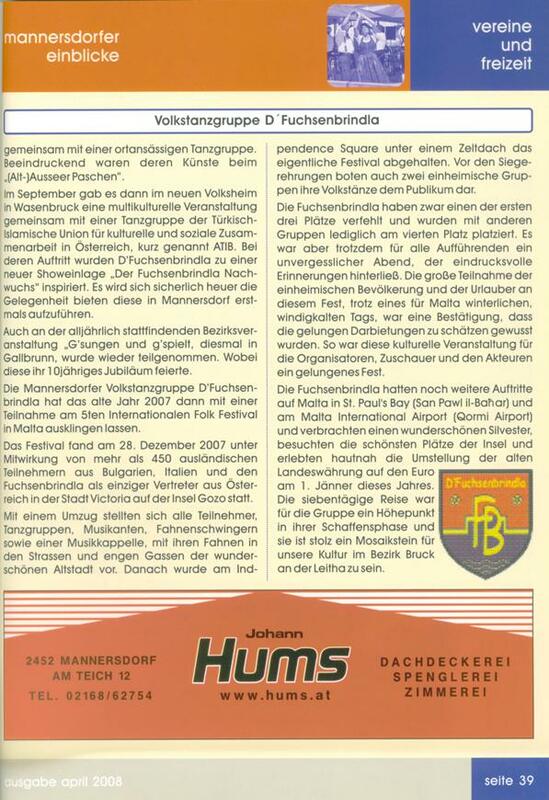 July 2006 - Article on page of 24 in "Mannersdorfer views". 28. 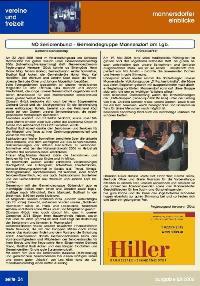 August 2005 - Article in the istrianischen daily paper "glass of Istre". 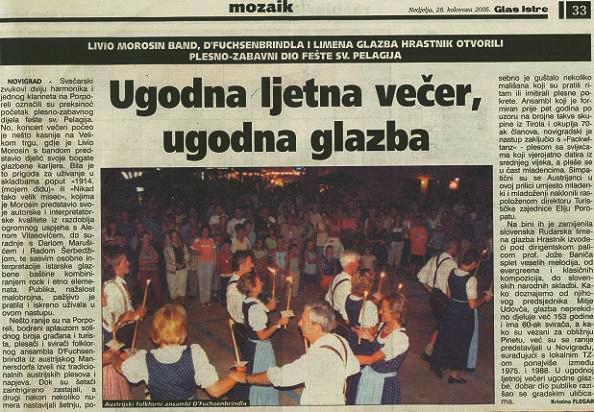 "Ugodna ljetna more vecer, ugodna glazba", with this heading appeared an article with a picture of our appearance with the city celebration in the Croatian city Novigrad. 26. 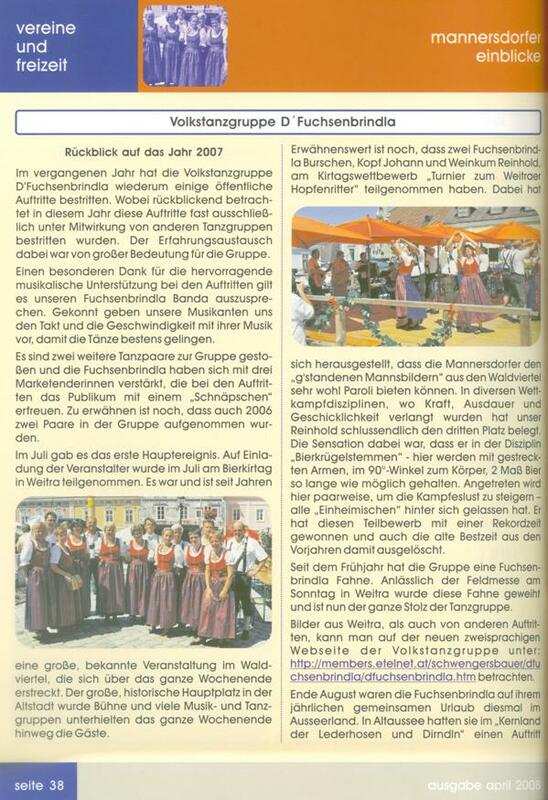 August 2005 - Article in the istrianischen daily paper "glass of Istre". 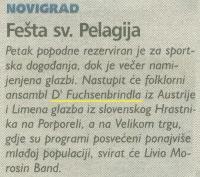 "Festa sports association Pelagija" - "celebration hl. 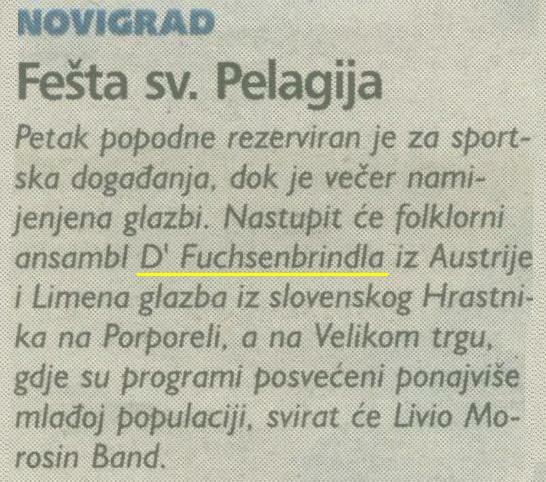 of the Pelagija", with this heading appeared an article, in which D'Fuchsenbrindla from Austria are mentioned.